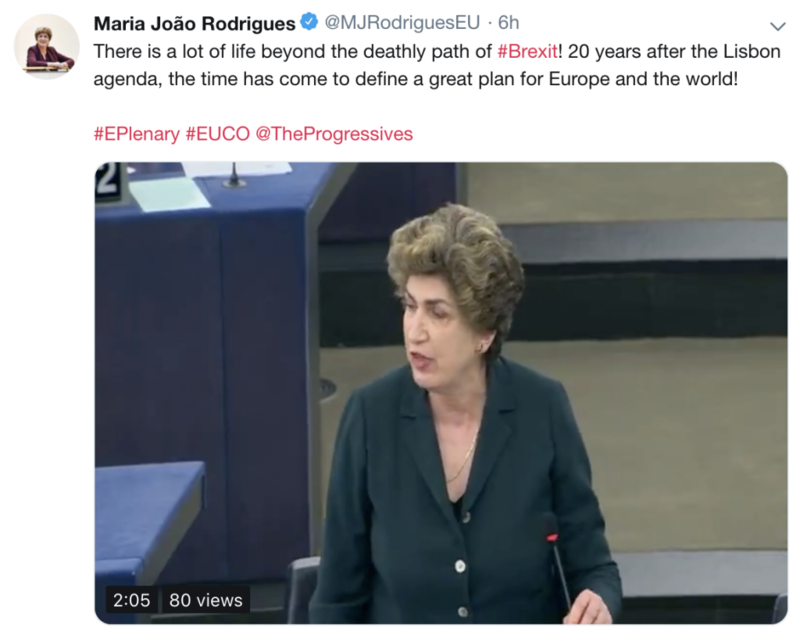 20 years ago we were able to define a great plan to deal with Europe and globalisation, this was the Lisbon Agenda followed by the Lisbon Treaty. The time has come to define a great plan for Europe and the world. There is a lot of life beyond the deathly path of Brexit! This was the last European Council before the EU elections. We expect a lot from the European Council. 20 years ago we were able to define a great plan to deal with Europe and globalisation, this was the Lisbon Agenda followed by the Lisbon Treaty. The time has come to define a great plan for Europe and the world. There is a lot of life beyond the deathly path of Brexit. When it comes China, very important to say we want a strategic partnership with china but working in the two ways and respecting our values. Fighting against climate change and promoting SDGs will become an absolute priority for the next agenda. 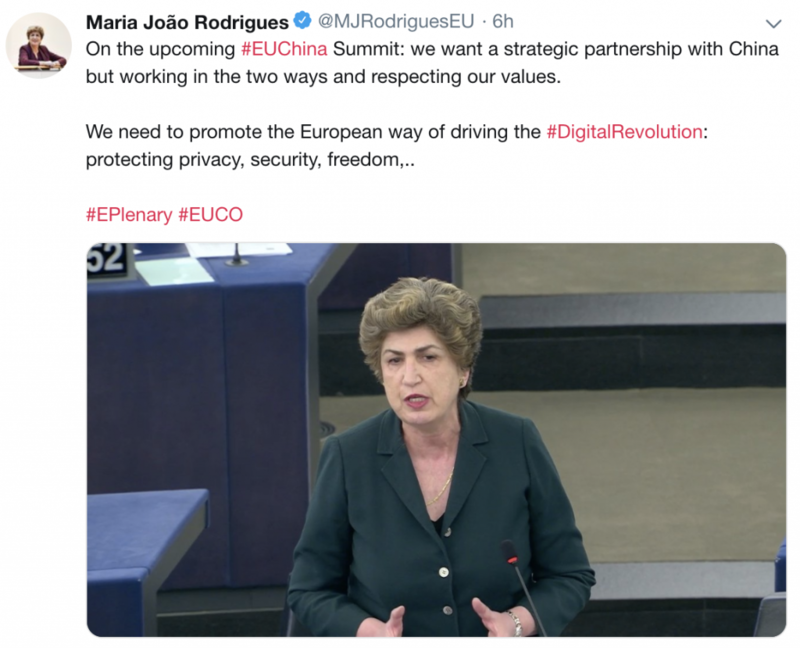 When it comes European sovereignty: we Europeans need to master the current digital revolution, we need to promote the European way to drive the digital revolution. This should be said to our Chinese partners in the next upcoming Summit. 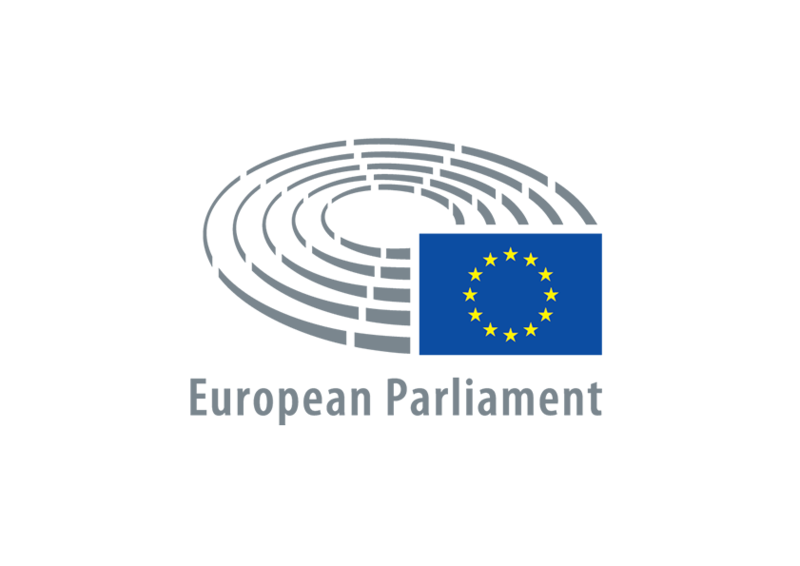 A European way of the digital revolution means protecting privacy, security and freedom, to use digital tools not to undermine democracy but to to enrich democracy. Digital innovation should be at the heart of promoting news services and products to meet citizens’ needs. We need to make sure this will be translated to more a and better jobs and that we can update our social protection systems to protect citizens all over this transformation. There is a lot of life beyond this deathly path of Brexit!